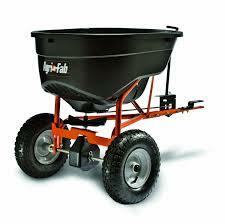 SKU: AGRI-FAB TOW SPREADER (SEEDER). Category: LAWN & GARDEN. Wt. : 37 lbs. Size: 46″ x 27.125″ x 31.5″ Coverage: 130 lb. capacity covers about 1/2 acre (25,000 sq. ft.).